I have battled with my weight for my entire life. My Dad is a big man, his Mother was a big lady. I have not been spared of gaining wieght very easily. In the last 20 years I have had three major Fats and three really good Skinnies. This last fat was really out of control so, I know I need a little help. I am 48 and it takes a much longer time to loose weight at this stage of the game. My business partner did the Diet Doc hormone injections and I asked him what he was doing and he told me. My Wife and I were going to Hawaii and we really didn't want to go there Fat, so both of us got on the Diet Doc program. After 8 week, I lost 32 lbs. She lost 22 lbs in the same time. We did it together which really helped. Now after losing the weight, I went back to the gym, and I feel great. I have gained back some weight, but my pants size went from a 39 waist at 212lbs 5'7", 23% body fat, to a very svelt 185 and 13.5% body fat and 32/33 waist. I found that it was much easier getting back into shape once the weight was gone. What I learned is that losing weight is done at the Mouth Level and getting in shape is done at the gym, not the other way around! I'm 48, my wife is 49 and we have four children from 22 to 12 and we are very busy, just like everyone else. 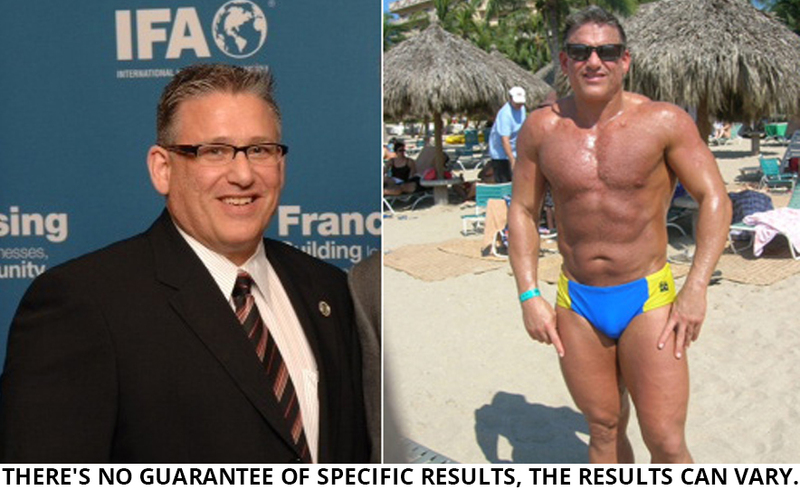 However, after taking the time to loss the weight and start doing some basic cardio and weight training, we have been able to lead a much better lifestyle, a healther life style. To sum it up, I learned from The Diet Doc program, not how to diet but how to eat again, taking out the salt, sugar and artificial sweeteners, made a big difference in how I felt. Drinking the protein shakes and reducing the meal sizes, makes the difference and I lost the weight. When I went off the hormone injections, my stomach had shrunk and through the Diet Doc program I have established good eating habits. I have been able to maintain my overall weight loss. I plan on going back on the hormone injections for another four weeks to reduce my body fat a little more. My goal is to go to my 30 High school reunion at about 175 and 10% body fat. We can't do anything about the loss of our hair as men, but we sure can do something about that belly. I don't think we can add a minute to your lives, but staying in good health, eating right and exercising, can make the Quality of our lives as we get older so much better and fulfilling it is worth the hard work and effort.